Pastor Edward is truly on the frontlines of persecution in Syria. His community was destroyed by ISIS and yet, alongside a small group of other believers, he is committed to remaining in the area as a light. We have a golden opportunity coming up this Sunday – the International Day of Prayer (IDOP) for the persecuted church. Believers, like Pastor Edward, around the world have endured extreme trials this year, and they need our mighty prayers. You can be a part of this battle in prayer against the powers of darkness. There’s never been a time where your faithful intercession is needed more. Write a digital letter to a persecuted Christian to remind them they’re not alone. Write a prayer or encouragement to a secret believer in North Korea or write a letter to Indonesia’s child bombing victims as they recover physically and emotionally. This opportunity takes just a few minutes but can unite you with a persecuted brother or sister. To those facing trials, your “gracious words are like a honeycomb, sweetness to the soul and health to the body.” (Prov. 16:24) Your words have the power to strengthen them! Pray for the top 10 countries on the World Watch List. This list ranks the top 50 countries where persecution is the most extreme, and our brothers and sisters living in the top 10 countries face trials for their faith every day. In North Korea, anything other than devotion to the ruling Kim family is seen as a threat, and Christians are often arrested, imprisoned and killed. Many of the other 10 countries have Islamic extremism/ oppression as the main persecution engine. Islamic beliefs dominate society, and Christianity is often met with violent rejection. Pray for those living in these countries. 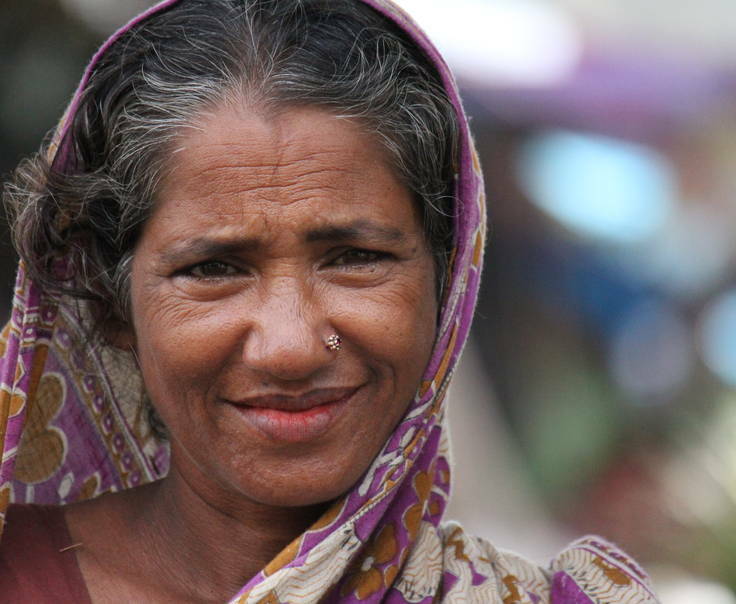 Listen to Ripple Effect Podcasts: Real People Living in Persecution. Hear from persecuted Christians from around the world. Listen firsthand to their struggle, their hope and how you can help! Pop in your earbuds to listen while you commute, do housework or exercise. Check out more Ripple Effect resources HERE, like an interactive study and theology of persecution. Pray for these 5 believers imprisoned for their faith. Alimjan Yimit (China): charged with 15 years in prison for “providing state secrets to overseas organizations”. Antonios Abune (Eritrea): removed from his position as head of Orthodox Church after criticizing Eritrean government for interfering in church activities. Anousheh Reza Bakhsh Veronika (Iran): arrested in February 2017 with her son. Nguyen Cong Chinh (Vietnam): pastor sentenced to 11 years in prison. Bhaskar Sunamajhi (India): married and father to 1 son, arrested in 2008. Share this meme on your social accounts, and ask friends to join you in prayer. The reality is that over 200 million Christians are being persecuted for their faith around the world. That is 200 million reasons to pray! The best way we get the word out about what is happening with our persecuted brothers and sisters is to share with you, and you can get the word out to your friends by sharing it with them! Even the internet can be used for God’s glory when we instantly share things as important as ways we can be praying for the persecuted. May we prayerfully remember that He can change the hardest hearts and convert the vilest sinners and make them saints. Praise God that we have been given the privilege to bring our concerns and requests to such a God! Thank you for joining us for IDOP this Sunday and standing united with our brothers and sisters on the frontlines of faith today.